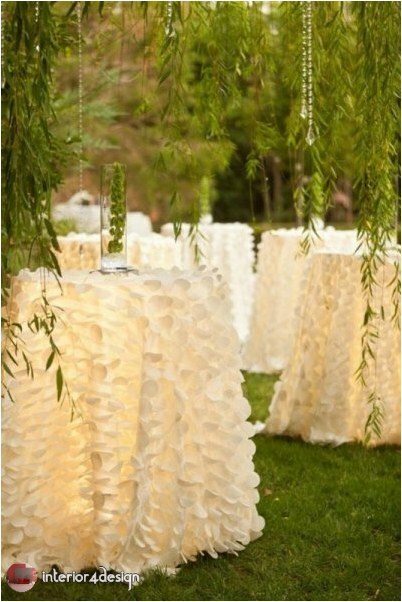 simple but brilliant wedding tables decorating ideas for grooms and their friends before arranging the wedding hall or yard. 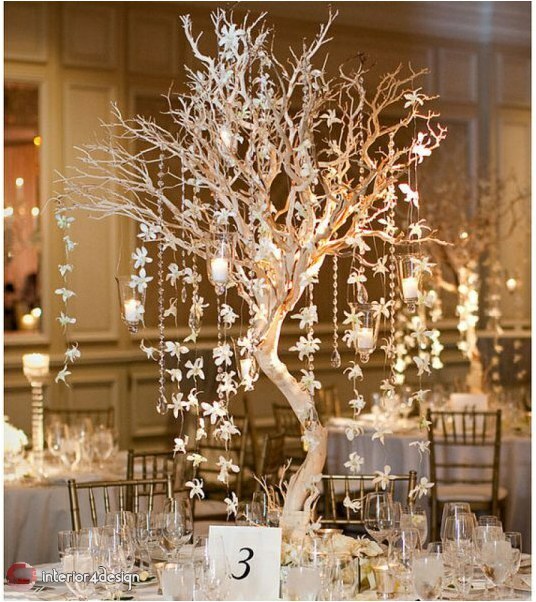 Decorating the decor of the tables is one of the most important things in the wedding and is the focus of everyone's attention. It takes an important part of the attention of the bride and the wedding organizer. 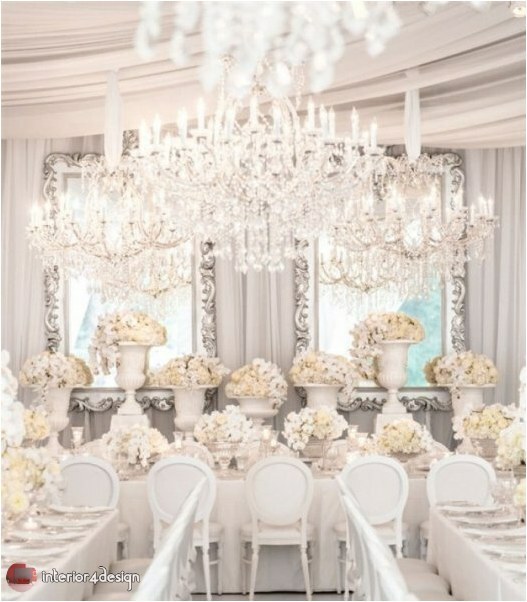 "Interior4Design" has chosen a collection of unique ideas for decorating wedding tables that add beauty and elegance to the wedding theme. 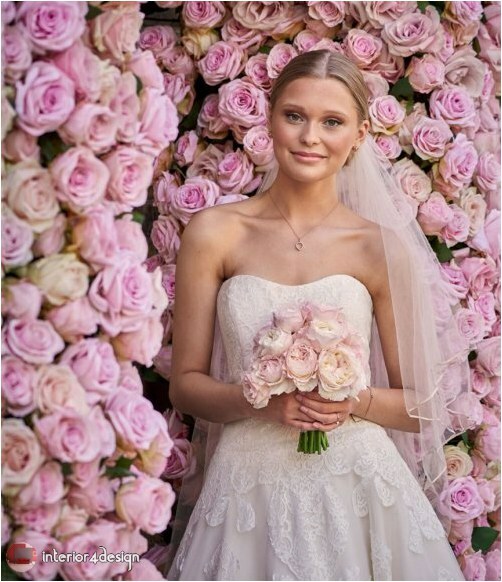 The selection of natural roses is one of the most prominent table decorations, especially those that are consistent colors, including pink and white, which have become the colors of the colors in the wedding, and you can add multiple types of flowers with the scent of the swarm to diversify and are consistent with the rest of the decor of the hall but prefer to be seasonal roses. 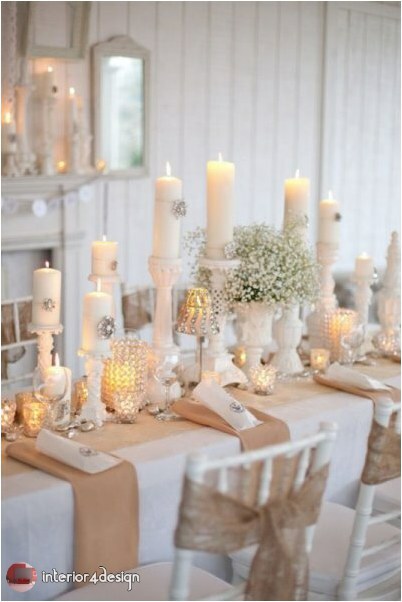 Candles with roses are a distinctive blend and indispensable romance. 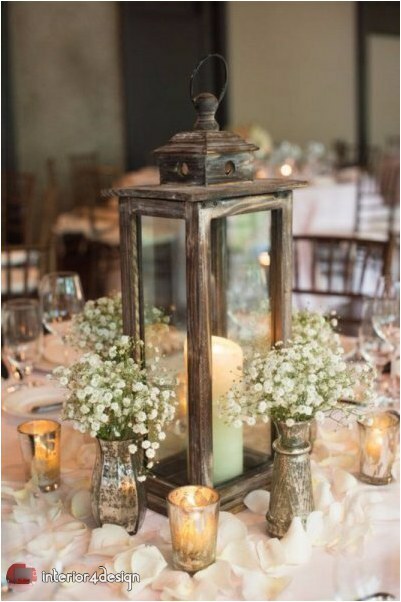 It is best to choose transparent vases and keep away from the long and huge that hinder the eyes of guests and can be selected in multiple sizes, and if selected from silver or golden color must be the rest of the accessories are consistent with the flowers selected. The crystal accessories reflect the elegance and character on the tables, they shine and differentiate in a striking and attractive, especially in the weddings that are held in the halls. 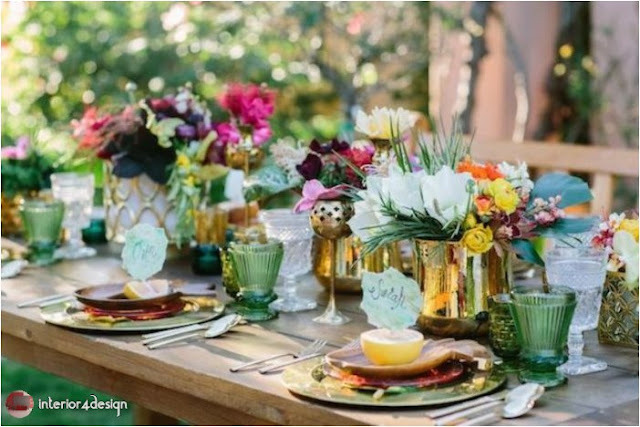 And the table covers are coordinated with the rest of the decorations, can be a printing press in beautiful colors, but the decoration of roses in one color and can be covered in a harmonious color with napkins decorated with beautiful accessories. 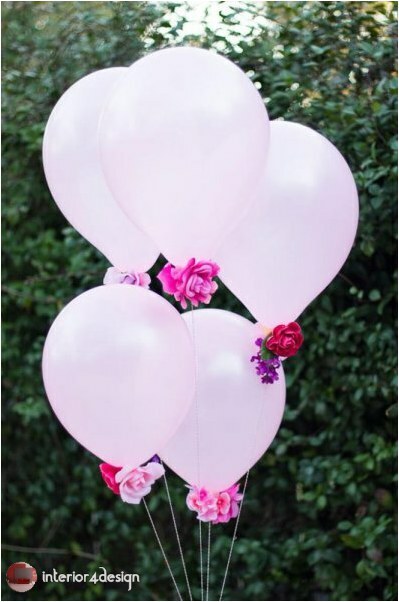 Sometimes the bride chooses fun accessories that reflect her casual and spontaneous personality as adding balloons to tables with roses. 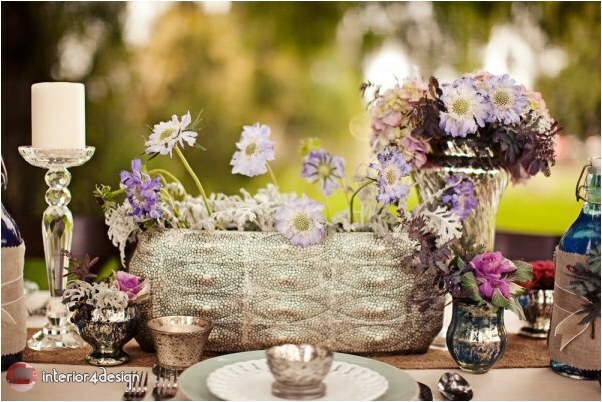 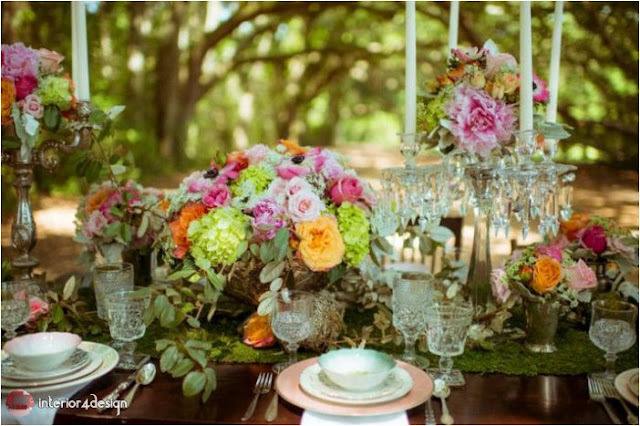 These are the most distinctive ideas for decorating wedding tables. 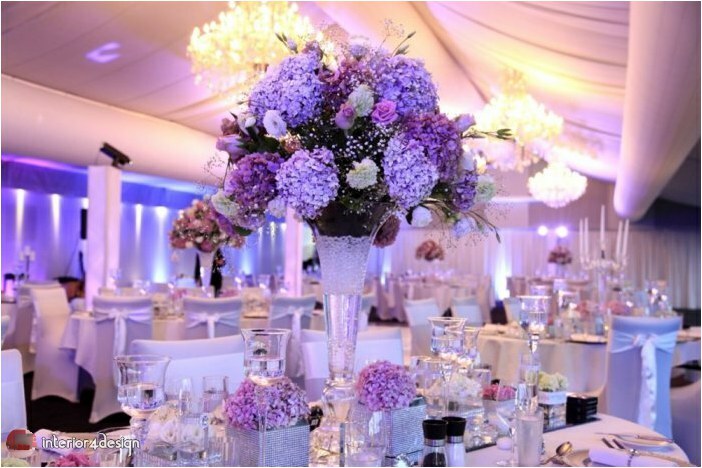 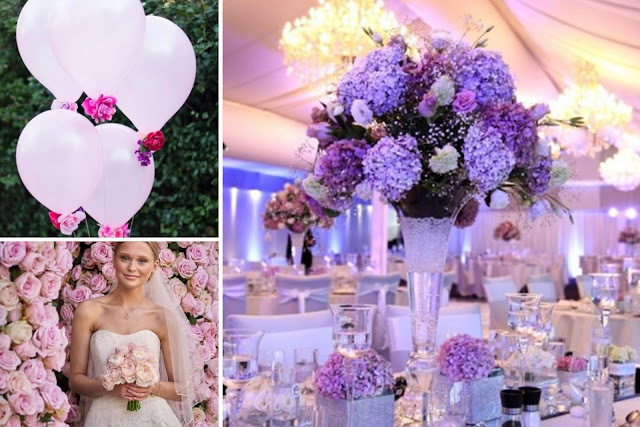 Choose the best ones that are consistent with your wedding theme. 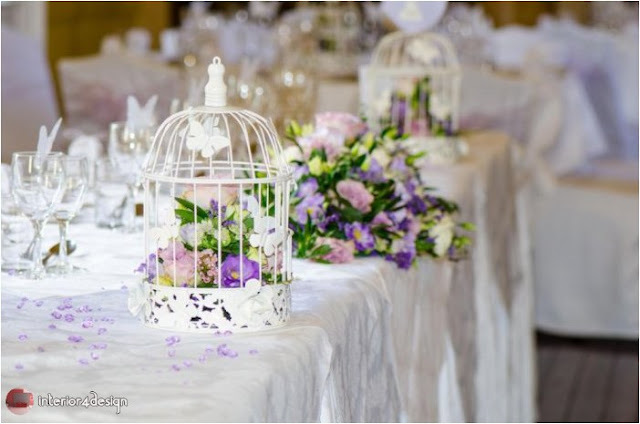 So we have finished writing the post Unique Ideas For Decorating Wedding Tables and wish to offer you the interior designs so that you can share with friends and relatives on Facebook Twitter and Google Plus and other social networks and digital networks, also you can send comments through the box below to express your opinion on the article, so you could send suggestions and preferences to take into consideration for editing and adding, a bouquet of love appreciation and respect sent to you through Interior4Design platform.